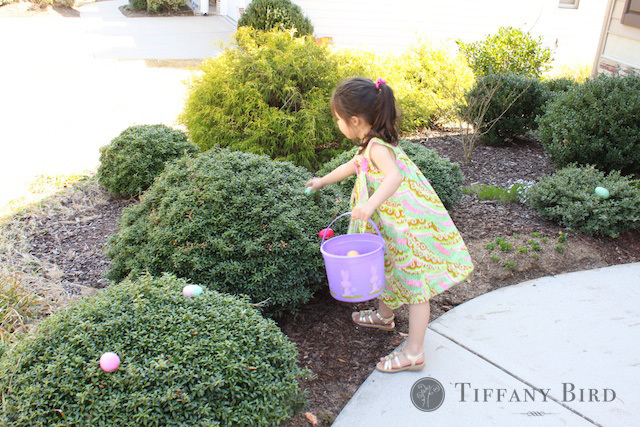 Hid eggs. Found eggs. Ate lots of food. Spent time with my dear family. That was the gist of our Easter weekend. It was wonderful. 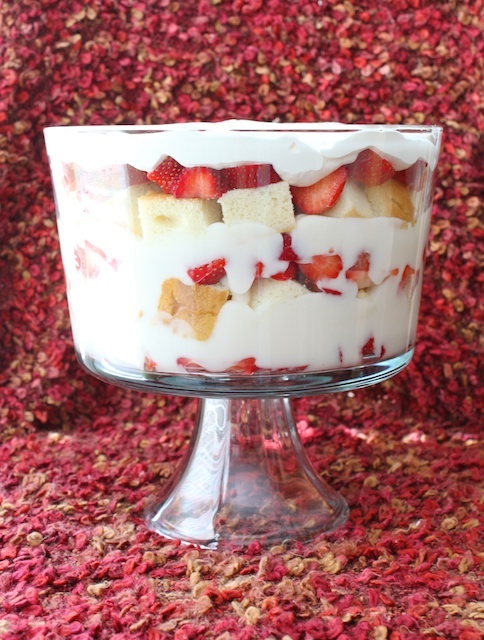 I made this simple trifle. It was just vanilla cake, strawberries, vanilla yogurt and whip cream on top. I would have put raspberries and blueberries in it if I had some. I like fruity desserts. 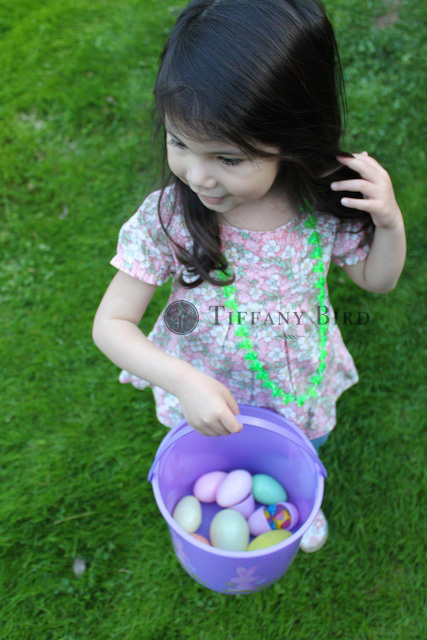 Then we had two egg hunts. One at my grandparents’ house Friday night with all the great-grandchildren. 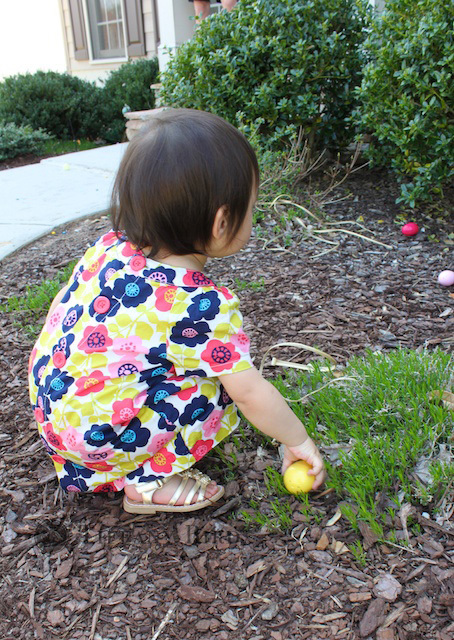 Then we had a second one on Easter Sunday with just Kaye and Elle. Less pressure to fight for eggs. 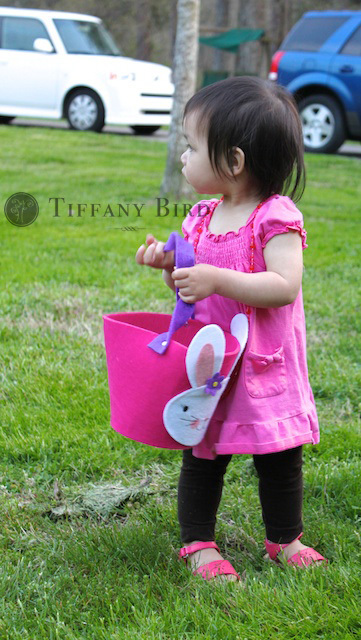 And did you see the adorable felt Easter baskets at Target this year? I got a bunny one for Elle. It was way too cute. » Tell me… How was your Easter? What were some traditions you did with your family? don’t mind at all. in fact, i like seeing it! thanks for including the link. That looks so fun. Your kids are just adorable! Just stumbled onto your blog and I’m enjoying it! I also picked up those adorable felt baskets at Target to take on vacation with us. They were easy to flatten down and put in my suitcase so the Easter bunny could visit us at Disney. thanks for reading the blog! aren’t those felt baskets cute? i love them. That cake looks super yummy. So simple too. Must try it sometime.